Creates a simple extruded massing object. Required: Outline (Curve): a closed extrusion profile from curves. Vector (Vector): extrusion vector, mostly Z. 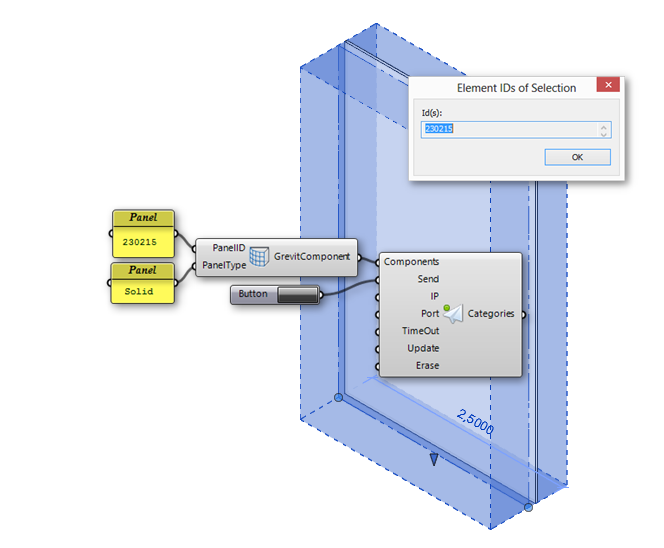 The SetCurtainPanel Component allows you to set the curtain panel type of a specified curtain panel. 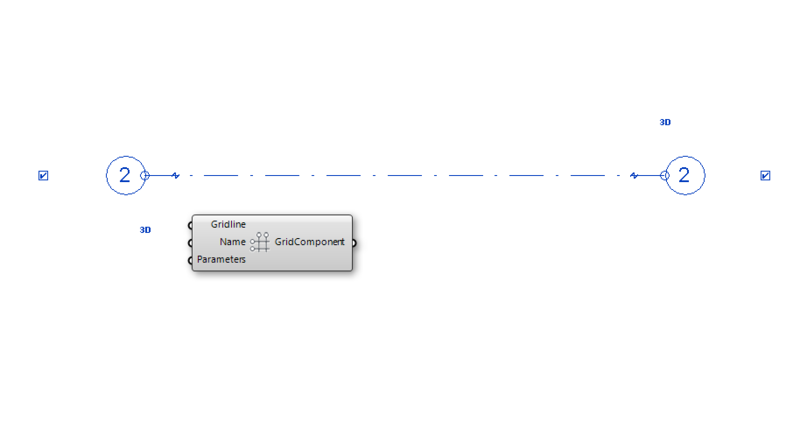 Identify your curtain panel ID using the “IDs of Selection tool” from the “Manage” palatte in Revit. 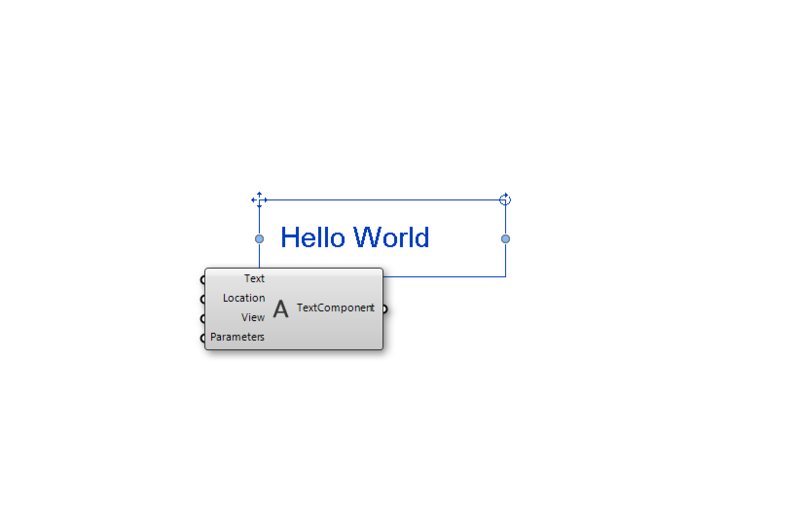 Use this panel ID and the desired panel type name as inputs for the component. The Filter Component allows you to apply a filter to a defined View. The send component is the most important one. 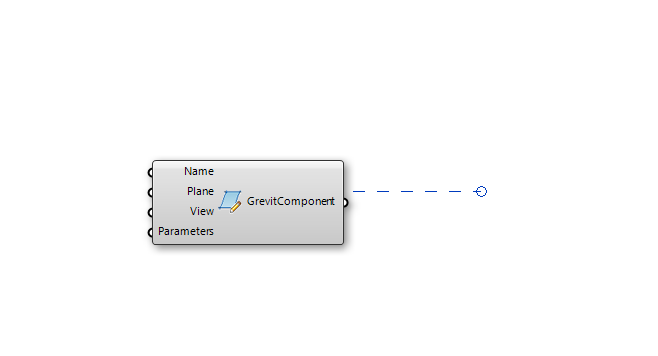 It wraps up all your Grevit components and sends them to your target application. 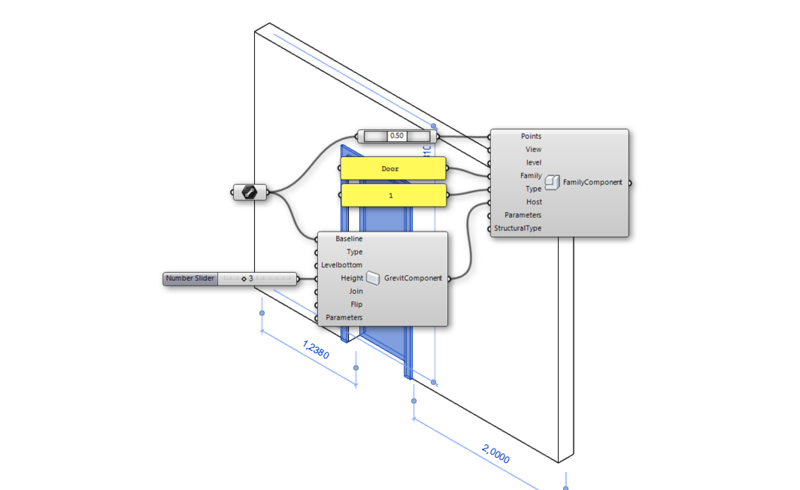 Once sent, its output returns all Categories, Families and Types as Text of the Revit document. 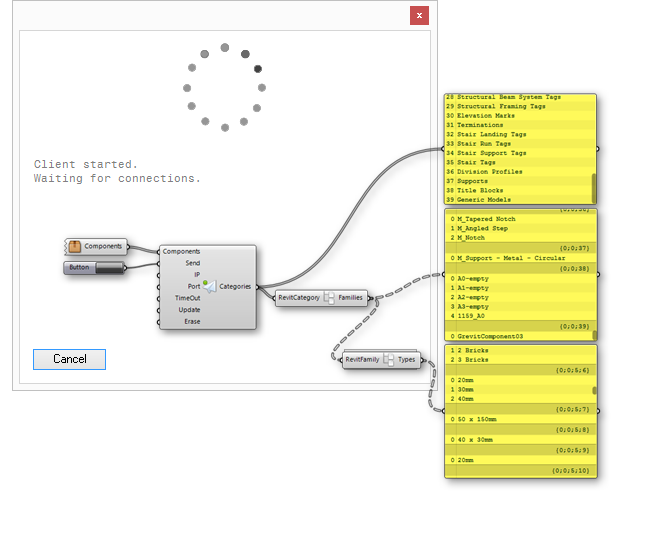 Required: Components (Grevit Components): all your components as a item, list or tree. But make sure you flattened the input. Send (Boolean): place a simple button here to initiate sending. Optional: IP (Text): ip of the receiving application, default is localhost. Port (Number): port of the receiving application, default 8002 TimeOut (Number): if you are sending large models a higher timout vale might be helpful. Update (Boolean): activates the update mode. Erase (Boolean): is already obsolete. 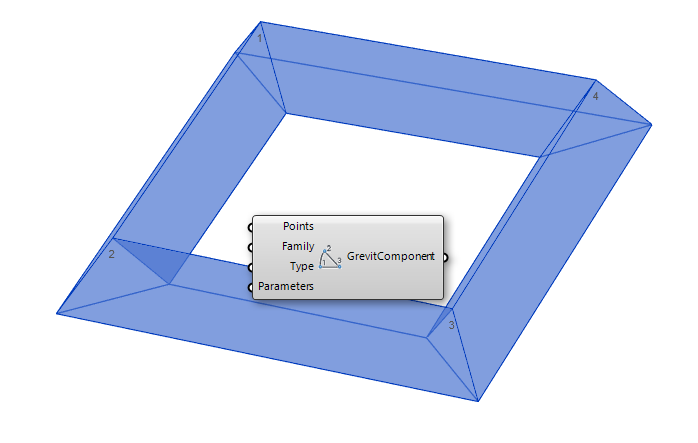 Grevit comes with a set of structural type components. They can be used to set the structural type of a family if necessary. The family component creates any family. It can be used to create normal or view based families. 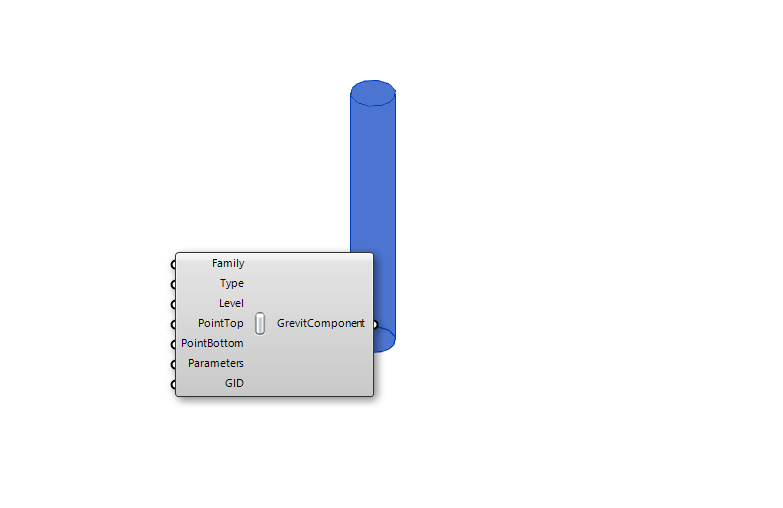 Required: Points (Points): one or two placement points Family (Text): name of the family Type (Text): name of the type Optional: View (Text): name of the view if its a view based component Level (Text): name of the level to place the family Host (Any Grevit Component): reference object, for example: a wall if the family is a door or window StructuralType (Structural Component): structural type of the family The picture describes how to use the host component if you want to place a door or a window. The level component creates a level on a certain height. Keep in mind that there should only be one instance of each level – don’t send it twice. 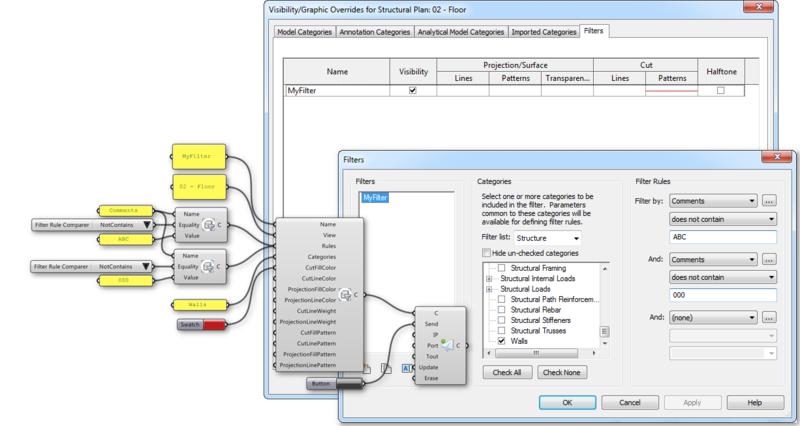 Required: Name (Text): name of the level Elevation (Number): absolute level elevation View (Boolean): create a view with it? 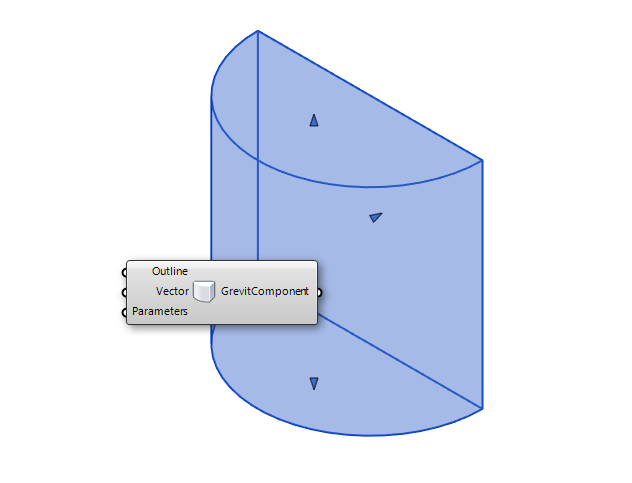 The line component creates curves from curves. Required: Curve (Curve): the curve. 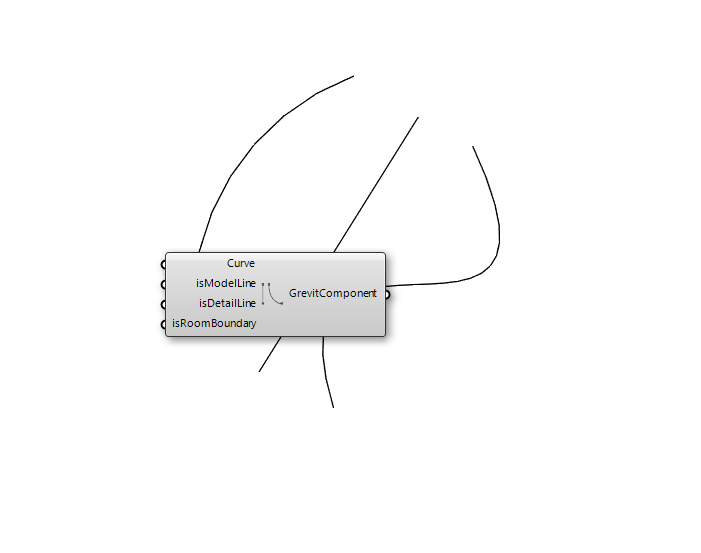 Optional: isModelLine (Boolean): create a model line isDetailLine (Boolean): create a detail line in the active view isRoomBoundary (Boolean): create a room boundary line Make sure your are setting at least one of them true in order to create something. 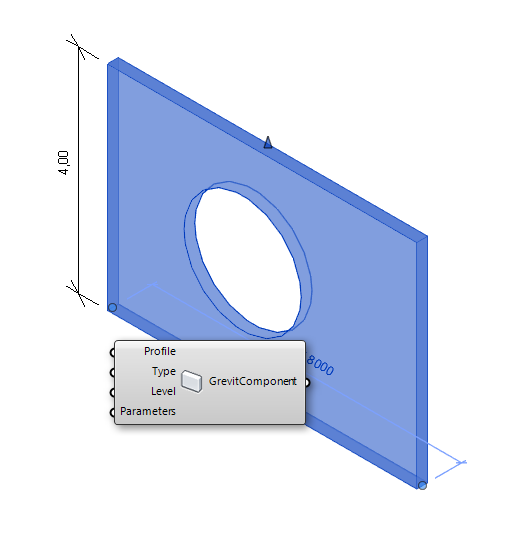 The hatch component creates a hatch in a defined view. Required: Points (Points): outline points of the hatch. View (Text): name of the view. 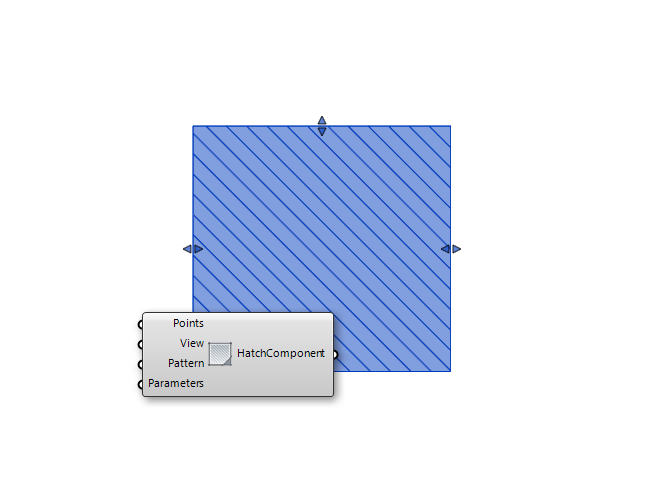 Optional: Pattern (Text): name of the fill pattern. 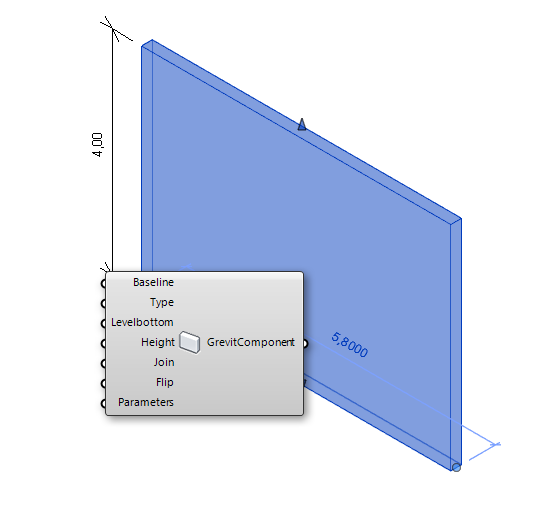 Required: Surface (Surface): surface to create slab from. Levelbottom (Text): name of the level. Optional: SlopeTopPoint (Point): top point of the slope arrow. SlopeBottomPoint (Point): bottom point of the slope arrow. Slope (Number): value of slope. 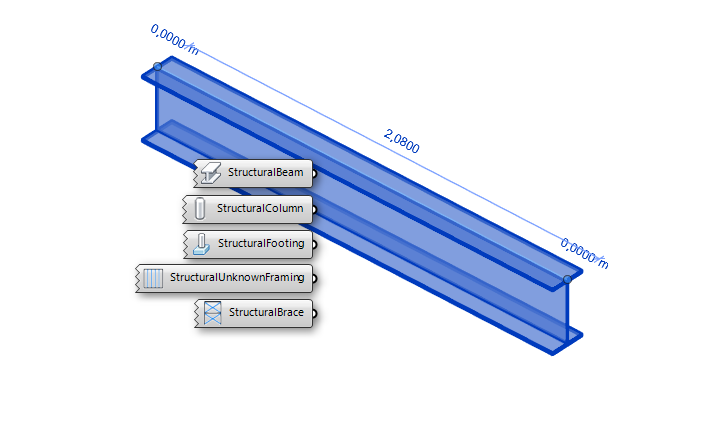 Structural (Boolean): sets the slab as a structural object. The profile based wall component creates a wall from a curve profile. 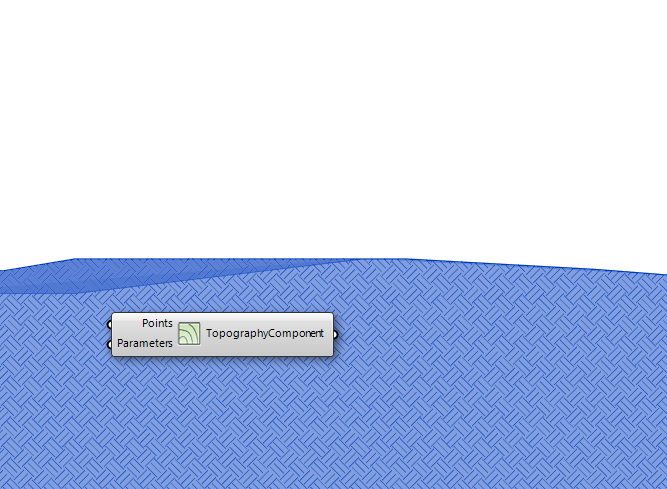 Required: Profile (Curves): closed profile of curves in XZ Space Optional: Type (text): name of the wall type. Level (text): name of the level.